It is unlikely that the head of our state realizes that American liberals made him the main hero of the Hollywood blockbuster. Well-known American actor Morgan Freeman, apparently, has worked at the factory of dreams for a long time, and now presents a paranoid nonsense of screenwriters as a real story. The video with his attack on Russia and Vladimir Putin has spread all over the Internet. Further, the Hollywood actor who has already played the role of president of the United States in his career talks with a businesslike look about what and how Donald Trump should do. In fact, these are not just crazy ideas of an elderly black celebrity, but this is a signal to Trump from elites who rebelled against him: surrender and slander yourself. Confess to what you did not do. At the end of the video, viewers are asked to visit the organization's website with a catchy name - The Committee to Investigate Russia. In fact, this resource collects all the news related to the scandal around the presidential election in the United States and fake interference of Russia. But the staff of this organization strikes the most: Hollywood director Rob Reiner, called for full-scale hostilities against Trump, the head of the national intelligence during Obama’s president James Clapper, a member of the International Affairs Council Max Booth and many others. In other words, an awful story about KGB agent Putin, threatening the United States, is being made by people from the elite of the intelligence community of the United States. 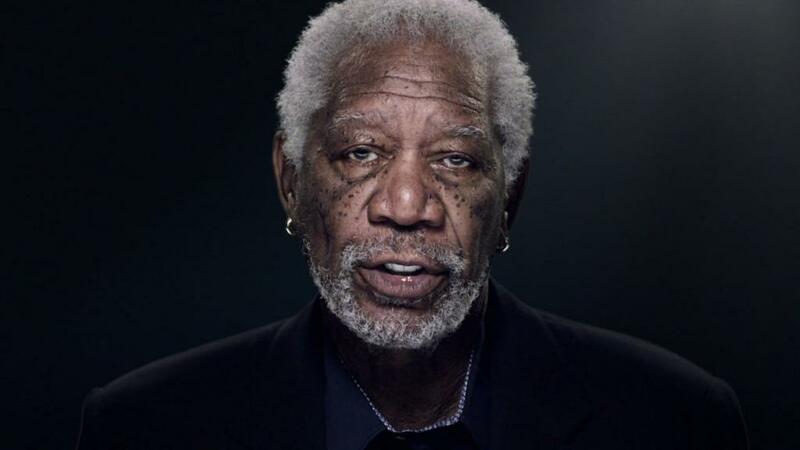 Moscow has already reacted on this attack.The Press Secretary for the President of Russia Dmitry Peskov told reporters that the Kremlin does not take seriously the video of Morgan Freeman calling on Americans to defend themselves against Russia that attacked the United States. According to Peskov, Freeman is a "victim of emotional exaltation." In addition to "emotional instability," this PR action shows the seriousness of American elites who are not ready to simply abandon the topic of "Russian intervention". A lot of forces have been already put into the image of the "external enemy" so that it could be forgotten at once.